Motorola XTVA Vehicular Adapter Convertacom. The Motorola XTVA Convertacom adapts portable XTS radios for mobile operation and charges the battery when inserted (NiCD, NiMH and Li-ion batteries only). 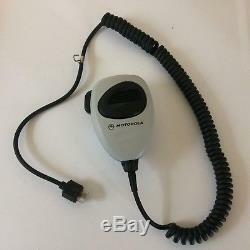 Compatible with Motorola XTS5000, XTS3000, XTS3500, XTS4250 portable radios. 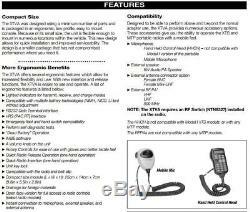 Included is an Open Faced, Mini-UHF model which allows the keypad of the XTS radio to be accessible while inserted. 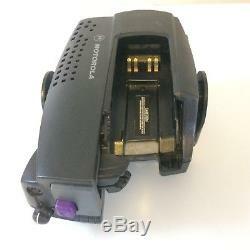 Motorola Vehicular Adapter NTN8560 (either version G or F) Model N2001A with mounting Bracket. 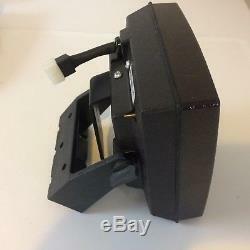 Motorola Speaker with mounting Bracket. 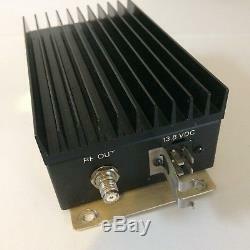 RF Power Amplifier to enhance the power output of the XTVA for XTS radios. Wires with connectors and fuses similar to the wires shown in the images. Connectors are on one end only as the wires have been cut. 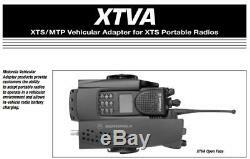 The XTVA vehicular adapter consists of a console, mobile microphone, mounting hardware, supply cable, amplified speaker and RF power amplifier. When the radio is inserted into the console, the resulting combination acts similar to a mobile radio, with the following automatic functions. 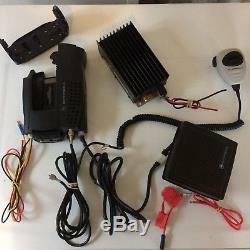 The vehicular adapter connects the vehicles external antenna (not included) to the radio, and the radios portable antenna becomes electrically disconnected. 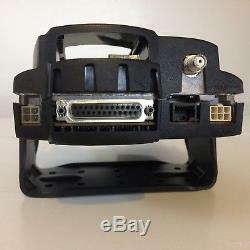 This requires an RF adapter Part No. NTN8327 also not included on the portable radio. 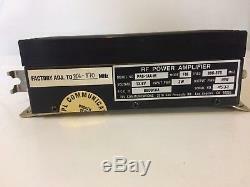 Use without the RF adapter may result in damage to the XTVA. The vehicular adapters mobile microphone is connected to the radio, and the radios internal microphone is not operational. Normal portable microphone operation resumes upon ejection. The consoles charging circuits are connected to the radios battery to charge it. The XTVA with the power amplified speaker automatically mute the radios internal speaker and transfer received messages to the PA/speaker. The audio level of the PA/speaker is set by the console volume control and is independent from the radio volume control setting. The portable audio level will resume at the level set by the portables volume knob when the radio is removed from the console. More info can be found out at. The item "Motorola NTN8560 XTS5000 XTS3000 Radio XTVA Charger Convertacom" is in sale since Wednesday, November 8, 2017. This item is in the category "Business & Industrial\Facility Maintenance & Safety\Surveillance & Alarm Equipment\Two-Way Radios". 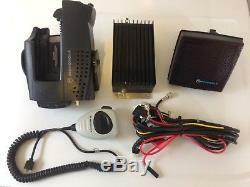 The seller is "sherman_pcreusetech" and is located in Decorah, Iowa. This item can be shipped to United States, Canada, United Kingdom, Australia, Ireland, Mexico, New Zealand, Singapore, United arab emirates, Malaysia.